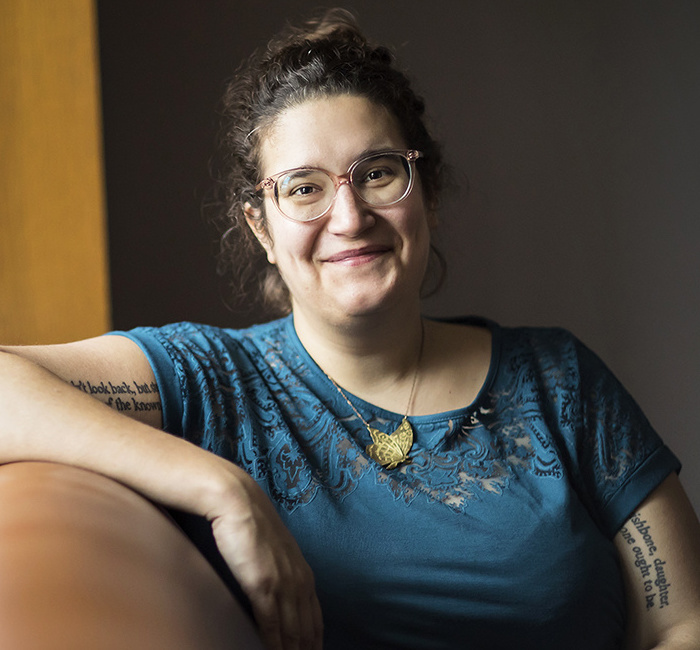 Up four flights of stairs in the house-like home of Penn’s Creative Writing Program is the office of Carmen Maria Machado, writer-in-residence and celebrity author in the making. Her brunette hair knotted on top of her head, she sits with her leg tucked under her in an oversized chair near the bay window of her garret-like space. She’s dressed to go to Penn’s Pottruck Center later, black tank top, galaxy-print leggings.